Proper engagement is an important aspect for successful mobile marketing. In this course we will examine the different aspects of engagement on mobile devices, the value of responsive design and engagement using elements that include video and interactivity. 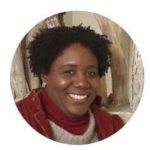 Prior to working in academics, Marushka Andrews gained practical experience in the work field where she held different positions. In 2012 she had her first teaching experience as a part timer. August 2013, Marushka embarked on a new journey as a full time lecturer for the Marketing program of the Faculty for Ac more. 1. Consumers expect individualistic engagement. 2. Consumers expected value design. 1. Consumers expect individualistic engagement. 2. Consumers expected value for exchange. 1. Consumers expect custom engagement. 2. Consumers expected value for exchange. 1. Consumers expect glitch free OS. 2. Consumers expected value for exchange.